There has been many articles on Titan concerning the Cassini spacecraft which has now made 68 flybys of Titan. Currently, 22 percent of Titan is mapped in radar and by the end of the mission in 2017, 50 percent will be mapped in radar. 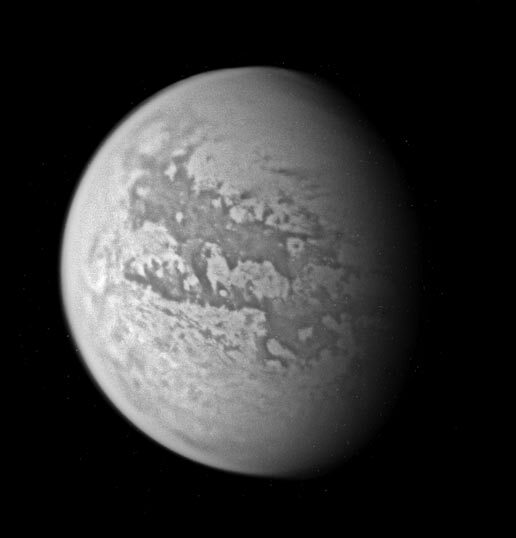 Even though it is known that Titan is a dead moon, it’s hard not to find an article concerning speculations on previous life there. However, William Bains of the Royal Astronomical Society doesn’t need evidence to tell UK astronomers of his convictions what he believes about life being on Titan. Scientists getting their science from Hollywood movies and not even observing one ET but yet Dr Bains thinks he knows how many molecules it would take to create one. 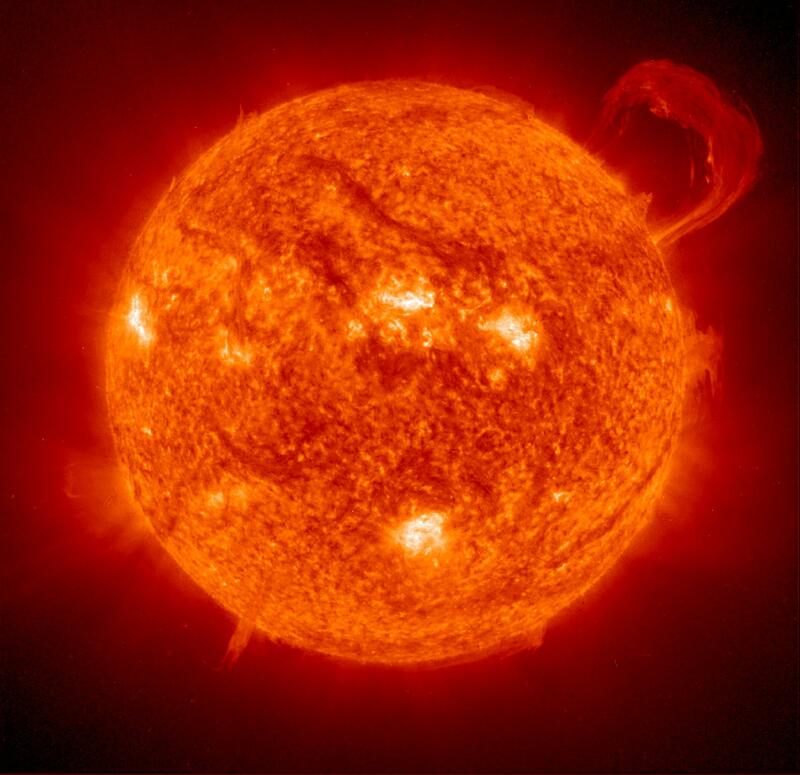 It’s like investigating the sun for life because it has protons and electrons (so-called building blocks for life). Great for storytelling, but not for true science. One of the things that is of great interest particularly to creationists is the age of Titan. 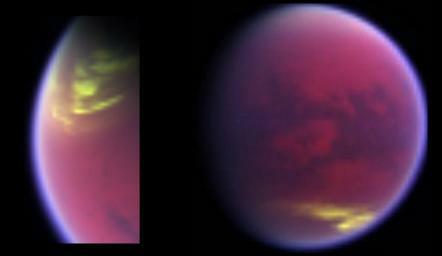 Titan’s atmosphere has been and still is undergoing irreversible processes which is a key to obtaining it’s real age. Methane irreversibly transforms into ethane and if there is no replenishment then the Methane would disappear! If Titan was 4.5 billion years old, observations of ethane should be a half mile thick over the moon! There are few craters which surprised scientists because of it’s assumed very old in the billion of years would indicate much more on the surface. Evidence suggest Titan is not billions of years old but much younger. Looking for tantalizing evidence is one thing, but trying to find it is quite another. 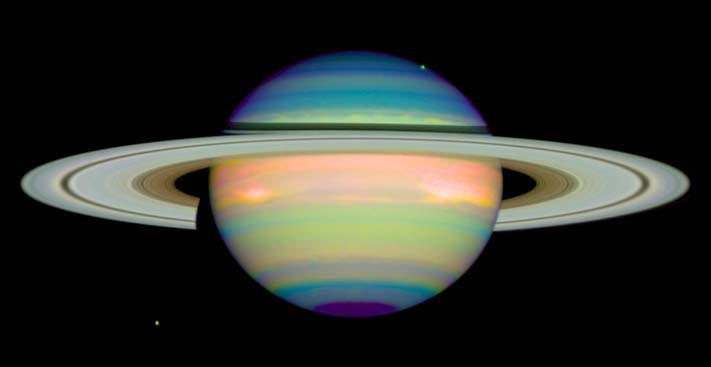 Noticed how “evolution” is thrown in there time and time again, because what they observed were very short lifetimes of particles that make up Saturn’s rings which cannot be concluded as primordial. These particles move very fast compared to Saturn – about 20 km/sec, but collisions between them are very slight (0.01 to 0.1 cm/sec). Some faint rings that were observed in 1981 during Voyager’s visit have changed, “D ring and inner C ring display a vertical corrugation that may have been generated only 25 years ago.” Dynamical effects that take place, happens in a matters of days or hours. For example, the F-ring which has a series of ringlets outside the main rings, where streamers of material get pulled out when the small moon Prometheus passes by. This indeed is very interesting data which verifies creationism. So are evolutionary scientists better off now with six years of observational data? 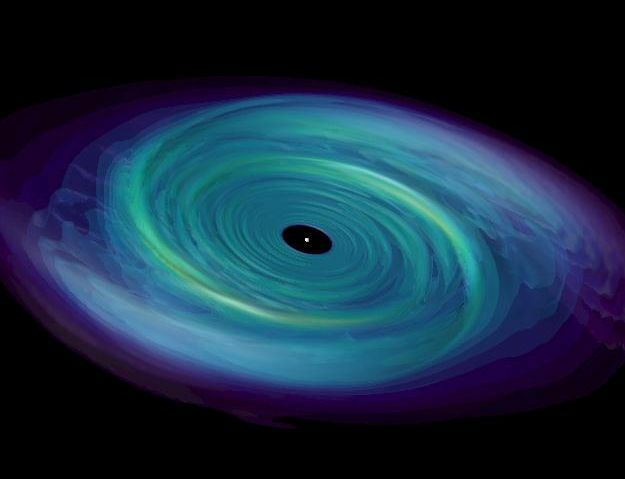 In one way, “yes” because the measurements are much more accurate but the rings themselves, “no.” So they are currently working on an explanation that would attempt to bring back the data into their framework. The reason why the rings look young is because they are young! Isn’t science suppose to follow the evidence on where it may lead? They will postulate on unobservable entities which will give them an easier explanation. But science should remain real rather than fictional. Ever since Cassini has been exploring the planet Saturn, scientists unwittingly have turned up evidence for creationism rather than revealing a very old appearance consisting of billions of years old. One of the ways scientists were trying to fit it’s youthful appearance into their framework of an old Universe was with through the use of a computer simulation. The program came up with a scenario in which “particles could be colliding, fragmenting, and re-clumping, thus maintaining a fresh look for millions of years.” It was admitted, it’s not clear if re-clumping does occur because under that sort of situation it would have caused the moons to be pushed further out. Saturn’s rings appear brand new, bright and shiny and they should be considering the Universe is not that old! Methane in the sky under the bombardment of solar winds observed on Titan has been perplexing for many evolutionary scientists, “the lifetime of Titan’s atmospheric methane was straightforwardly calculated to be a few percent of the age of the solar system.” The solar bombardment over a very long period of time would have eliminated the methane in the sky but yet the substance remains. This caused speculation of supply sources either external or internal. External was ruled out, because there was not enough impacts to supply the methane, which leaves the internal source hypothesis. 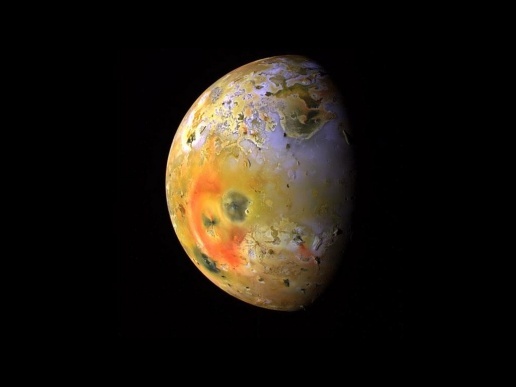 Another problem with Titan was on the surface, it was predicted with calculations within it’s supposedly old age framework, the moon would have an global ocean of liquid ethane. The Huygens probe was supposed to be a floating device. As it turned out, there is not that much of ethane on the surface of Titan. The billion dollar question, where did the substance go? Vaporization doesn’t come easily for ethane which indicates a young age. It’s true, evolutionary scientists haven’t come up with viable explanations on why their model predictions have been off, but it doesn’t mean they will not be able to come up with an explanation even though that particular explanation is not a viable one. One has to keep in mind, those searching for the naturalistic explanation have to fit the evidence into their models rather than the other way around. But it’s quite a good fit with the creationist model and it demonstrates once again, it’s more way accurate than the presentation of naturalism.